It is my pleasure to announce that after an extensive nationwide (and in-house) search, Gene Knight has been named Music Director at Magic 92.5 (XHRM-San Diego)! Besides Gene’s time here at Magic, he brings us decades of San Diego radio experience including 10 years at the legendary B100 where he was Music Director and midday personality; he was MD at K-Joy and most recently afternoon drive host at KYXY. 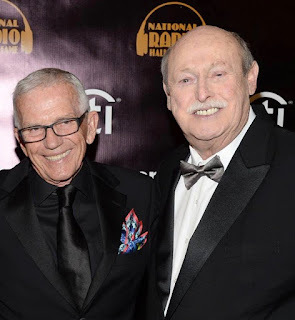 He has won multiple “Music Director of the Year” awards, and most importantly, Gene has always been a huge Magic 92.5 fan and an expert in the music. We’ll be working closely together on the music here at Magic as Gene will continue his weekend and fill-in work on the air. Please welcome the latest addition to the Jammin' Z90 (XHTZ-FM) on-air staff…Alexia Gloria, who will be on-air weekends. Alexia comes to us from Stockton, CA where she did the night show on the heritage KWIN. She’s also worked on-air at heritage Central Cali stations like KDON and KHTN. She currently (and will continue) does middays at WiLD 106 in San Luis Obispo. No stranger to San Diego, Alexia has been frequenting America’s Finest City for the past 10 years and knows our city well.